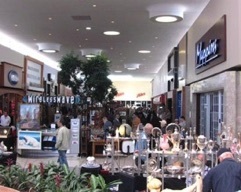 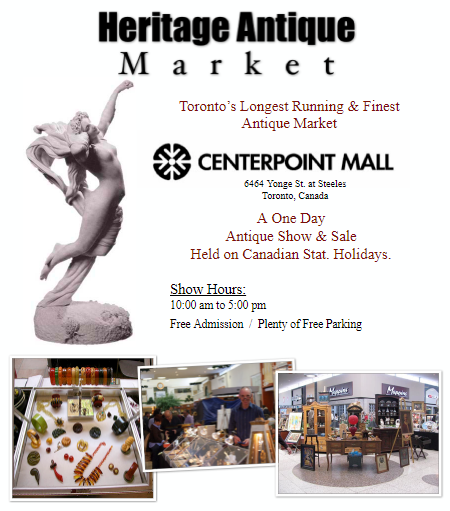 Description Toronto’s longest running & finest antique market! 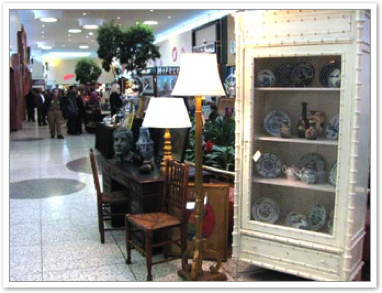 Over 65 selected Canadian Antique Dealers from across Ontario & Quebec featuring Period & Decorative Furniture, Antique Jewelry, European & American Art Glass, British & American Pottery, Paintings, Porcelains, Collectibles, China and Silver. 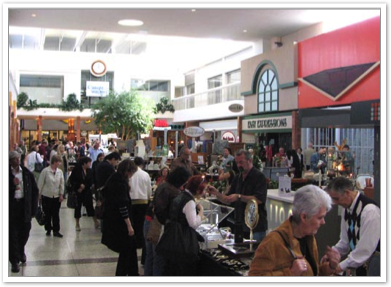 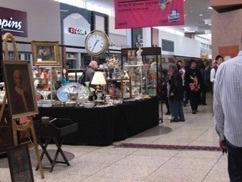 Consistent quality, great finds and knowledgeable dealers - all here at the Heritage Antique Market where thousands of collectors, shoppers and designers attend on a regular basis.